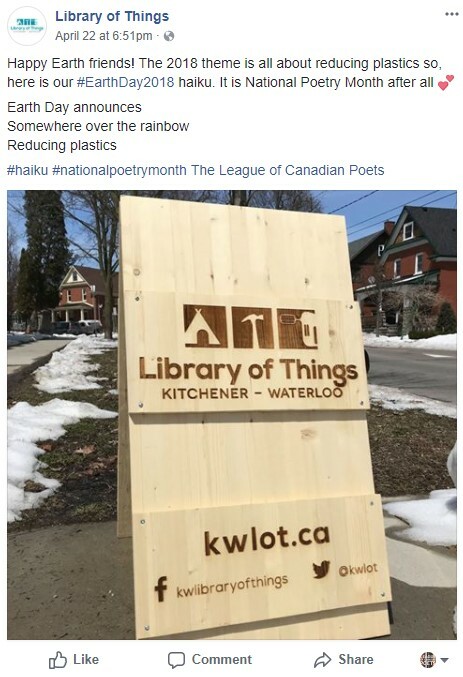 The Brantford Public Library is home to the Poet Laureate Collection, an eclectic mix of poetry volumes from hundreds of Canadian authors, gifted to the library by Brantford’s own poet laureate, John B. Lee. Staff at the Burlington Public Library curated Staff Picks in honour of NPM, which you can read here. 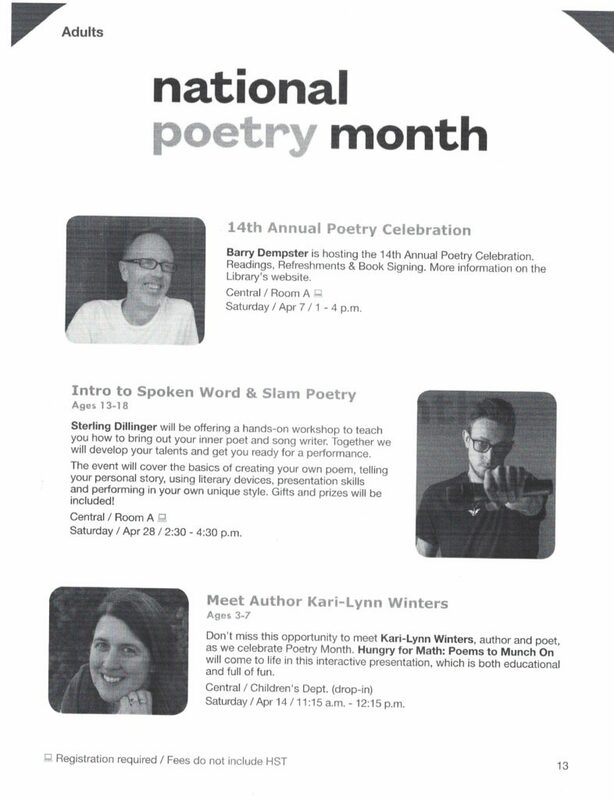 You can also explore the ways that patrons will be encouraged to write their own poetry all month long! 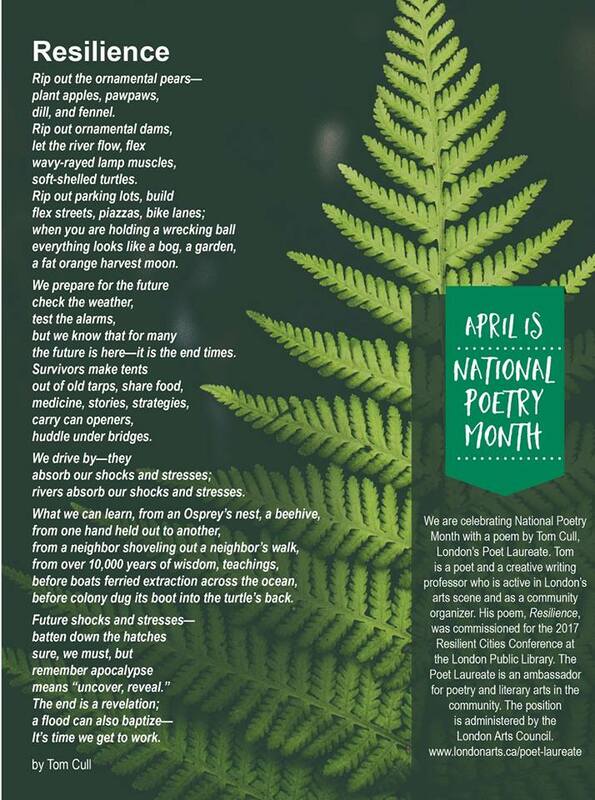 Coquitlam residents are encouraged to submit original Twitter-length poems during the month of April with tags #CQpoetry and #NPM18 for a chance to win prizes. For inspiration, Coquitlam Library is posting weekly writing prompts on Twitter! 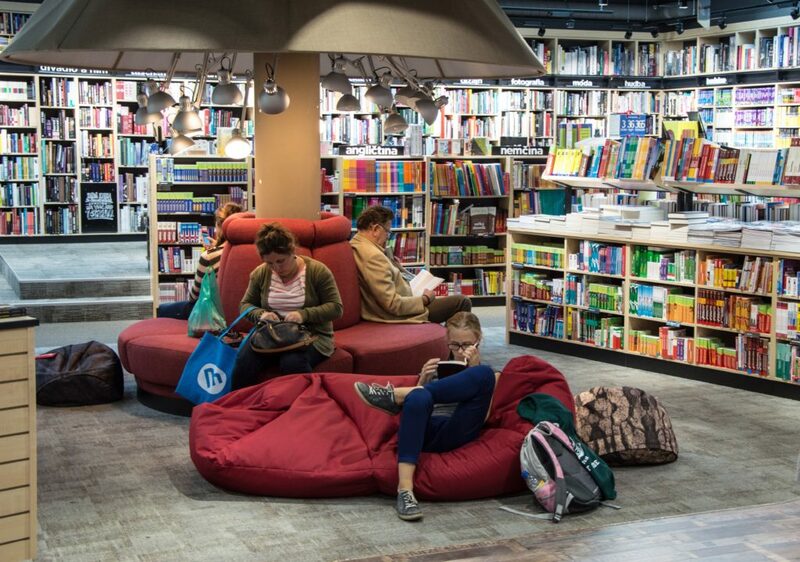 The Grand Prairie Public Library is celebrating NPM with their 2018 Teen Poetry Contest (and encouraging teens who aren’t yet inspired by poetry to check out this reading list). For a list of #NPM18 events at the Hamilton Public Library, click here. 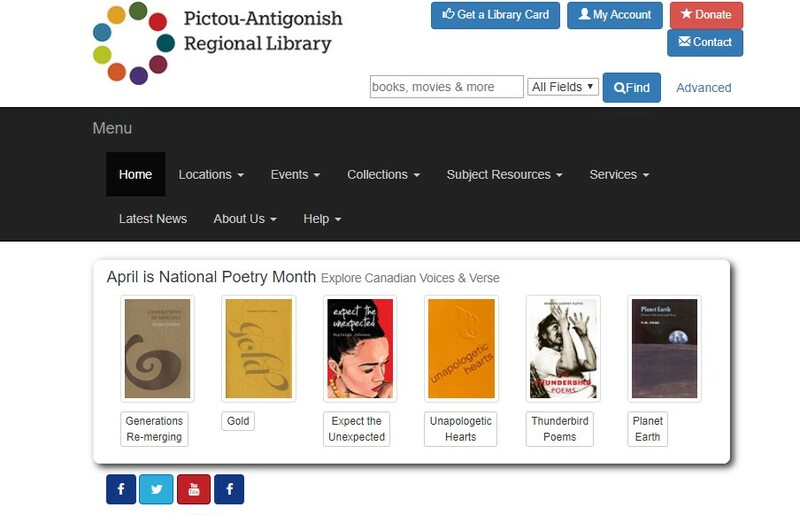 The Ottawa Public Library delved into the history of National Poetry Month and shared a library staff list of favourite books, ebooks, movies, and audiobooks about all things poetic. You can see it all here. Plus, check here for a list of NPM events and workshops. Richmond Hill Public Library celebrated their 14th year of participation in NPM! Timmins Public Library has shared a poem a day from the archives of local news papers on their Facebook page. They even made it to CTV News Northern Ontario! The Toronto Public Library has organized its first ever Spark Poetry Festival filled with poetry-related programming across branches! Click here to see all the events. Windsor Public Library hosted, with the New Canadians’ Centre of Excellence hosted the 3rd MANY VOICES, MANY LANDS event in which poems were recited in Arabic, Bengali, Chinese, Hindi, Nepali, Persian, Urdu, and English. Winnipeg Public Library shared lots of ways to create, craft and share your work to celebrate! 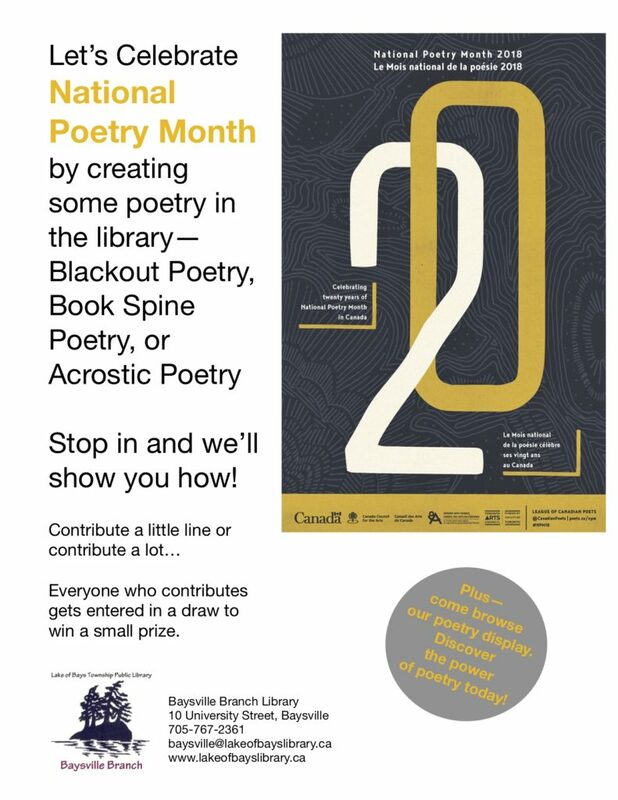 Thanks to libraries for their continued support and participation in National Poetry Month. We love you!